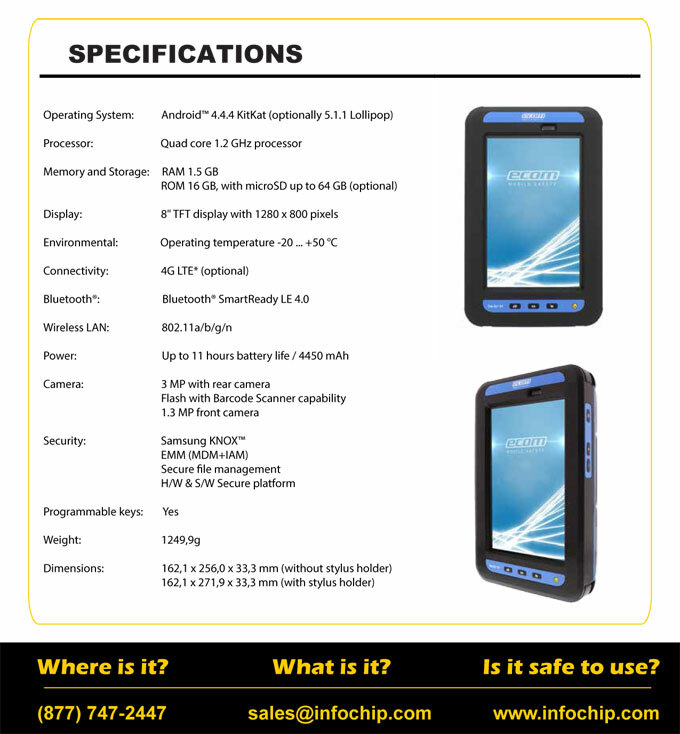 Created from state-of-the-art engineering combined with years of practical experience, ecom’s Tab-Ex® 01 – based on the Samsung GALAXY Tab Active – has now been independently certified for use in Zone 1 / 21 and Division 1 hazardous areas. With several new patents protecting ground breaking methods and a new evolutionary approach, the ultra rugged Tab-Ex® 01 brings a wide range of applications and new customer focused solutions into Zone 1 / 21 and Division 1 areas for the first time. Complementing ecom’s existing Zone 2 / Division 2 (Z2/D2) Tab-Ex® and rugged tablets, this latest Z1/21 / D1 Tab-Ex® enables customers to extend current solutions into Z1/21 / D1 hazardous areas with no software changes – helping to shorten deployment times and reduce cost/risk. And, similar to our Z2/D2 Tab-Ex®, ecom’s Z1/21 / D1 Tab-Ex® combines ATEX, IECEx and NEC certifications on one device, making it safer and easier to manage Tab-Ex® deployments at different locations around the world.